"without the end in mind, there would be no determination to run any race"
I left my uncle's house at 7:04 am. As usual I was greeted with the ever notorious Subang/USJ traffic jam. It isn't something most people would wish for at so early in the morning. No matter how much they hated it, it is unavoidable. However, I was comforted by the manners of the drivers in the morning. They drive more sanely. Perhaps in the evening, work place stress is to be blamed for "hell drivers". I took my sweet time. Kind of like taking an easy stroll back home. Traffic jam as usual on the way back home with my bladder about to erupt with urine while my mind ponders on what to eat for dinner annoyed by my growling stomach. The day went well. Entering through the gates of Lafarge Concrete Malaysia didn't bring much more excitement. Probably due to the many rounds of interviews that has caused me to gotten used to entering through those gates. I saw a group of people standing at the main entrance and instantly I thought they are the Vietnamese Trainee Managers who are here for their 6 months training. Approaching my usual parking lot, I saw Ng, another external trainee. He used to work as a Designs Engineer. His previous job really is as good as it sounds. As before, all large group of people would have to congregate in the meeting room at LCM. There I met 4 more persons. Three internal candidates and one external. So, in total we have 13 people of which 6 are locals. One of the local, a girl will not be joining us as Assistant Area Managers. She would be posted to the technical (QC) department. Great day of getting to know the not so many managers of different levels over lunch. This is a very performance driven company run by a pool of very young managers. All in their early to mid 30s. Indeed the prospects look very bright. This Wednesday would be Lafarge Aggregates and Concrete Malaysia One Day Communication Summit which will be held at Armada Hotel. It will be a whole day event spanning right through dinner. We would have to wear our new Lafarge coporate polo t-shirt with our names embroidered on it. I am very excited because there we will meet the more senior managers, in fact the top, Regional President himself and other top managers. Encik Burong who used to teach Mathematics and Physical Education in SMK Methodist ACS has passed away last weekend. Deepest condolence to his family. Temme tagged me. So I have to tag some other people. I know I haven't respond to Hon Yee's tag. I will do so. 1. To spread the Love of Christ. Although sometimes I think the post I put up shows the unloving side of me but at least I'm being transparent and honest. 2. A way to express the things I sometimes cannot find people to listen to. 3. Photography. Just because Temme had this as the 3rd reason doesn't mean I copied her. HEHE. I like photography too. 4. Why must there be 5 reasons. I do blogs to respond to tags. Good enough? 5. I blog because there are people who read my sometimes very lousy writing. You have probably read a review of Toyota Vios before. I am very privileged because my father bought me a new Vios. When I first test drove a Vios a few years back (1st edition) I didn't quite like how it handle because of the extra body roll and simplicity. I don't know if Toyota improved the car's suspension settings but it feels sturdier and more agile. Bending through corner need not be "moments before suicide" because of the minimal body roll. Power is adequate. While acceleration is good, the VVTi engine did not struggle to bring the car up to speeds, the RPM (revolutions per minute) the engine churns was kept low to improve fuel consumption and noise and vibration. One can be sure that the NVH (noise, vibration and harshness) is kept very low. So low that this car is good for love birds to exchange mushy words without noticing the world peering into the car through the windows. The brakes are responsive and a safe bet for safety as it comes with ABS (anti brake-locking system) and EBD (electronic brakeforce distribution). Toyota also threw in 2 SRS (supplemental restraint systems) airbags for the driver and his co. It keeps the love birds safe. Not to mention Toyota's GOA (global outstanding assessment) body. As I know, Toyota's body frame can channel impact forces around the body to the back of the car instead of allowing it to enter the cabin and injure or kill the occupants. Which in lay man's term-safe. Lastly, it has all round disc breaks. Car looks elegant and simple. Minimalist design with enough details to make it stand out. Design fast becoming dated. Next generation Vios will be launched this year. A simple and thoughtful addition. The addition of Velcro (TM) to the floor mat is simple but it solved the problem of slipping floor mat previously experienced while driving a Proton Waja or other cars. Another smart addition. Though a little too small for a size 10 slipper if a pair is in it. Now back seat passengers need not worry about rolling those bottles or carbonated tins. "...trusting Him is like risking to take the safest route. You have to walk by faith at the same time you are secured in Him..."
Phase B in life would be a departure from Phase A, A1 and A2. The latter 3 phases are namely primary, secondary and tertiary education years. Phase B would be the working world. I can imagine at this point, the orchestra drums beating away as if it was a horror scene in a movie. Maybe it was for the step I'm taking to enter into the world of the unknown. I received a call just now...the below details will explain everything. 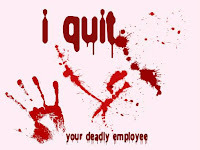 Will this be a constant reminder not to mistreat your employees or a reminder of the rights of an employee? Hmmm...I sure hope it is not meant to instill fear.